What experts have warned and feared for the past few years about the humidity level at the world heritage site of Pasargadae after the inundation of Sivand dam, has now become a bitter reality as the humidity has risen to a dangerous level, and lichen funguses are growing over the body of the Cyrus the Great’s Mausoleum. Humidity which was previously unknown to the area is now easily felt. 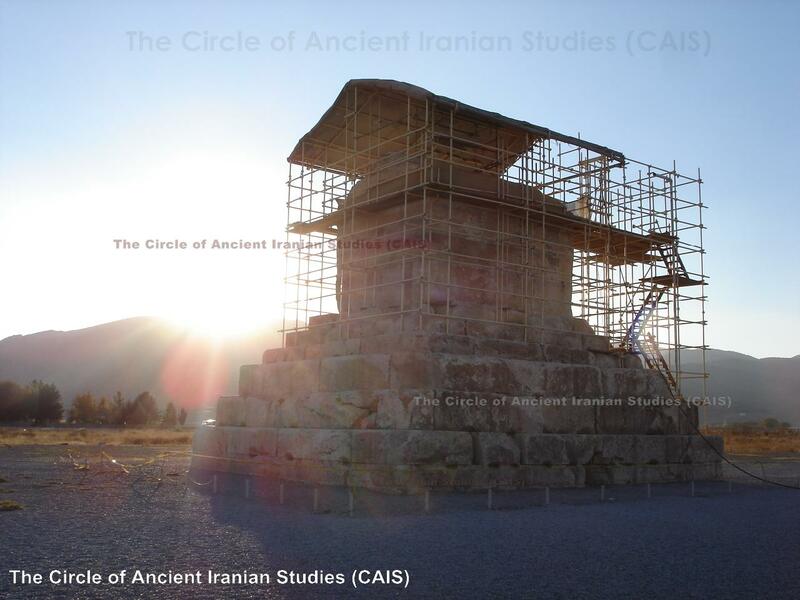 Members of the public and a number of associate members of various Friends of Cultural Heritage Societies who have visited Pasargadae and the Mausoleum during the Norouz holiday, said that the high humidity is apparent, and damp can be smelt for miles. Fars Province’s Meteorological Centre have also confirmed that the area has been suffering from a drought for the past six months and during this period it has rained only three times, totalling 75millimeters, therefore this amounts to nearly nothing to have an impact on the Pasargadae’s current atmospheric condition. Back in 2007 an agreement was made between Iran’s Cultural Heritage and Tourism Organisation (ICHTO) and the Ministry of Energy, if the humidity levels become apparent and thus places the heritage site in danger, the dam inundation should be stopped immediately, and necessary measures to be taken to safeguard the ancient site. As the result a small-hygrometer was installed was installed at Pasargadae by the Ministry of Energy to monitor the humidity level. Since then however no access was granted to the experts to read the data, or any information made available to the public regarding the current and exact extent of humidity in the area. In addition the Islamic regime as well as the Ministry of Energy officials have refused to be interviewed, or willing to issue any statements in this regard. ICHTO which is controlled by the government in Tehran has also refused to give an explanation and its administration has forbidden their staff to accept any interviews or to give any comments regarding this issue. Sivand Dam became operational in April 06, 2007 by the order of the Islamic regime’s president Mahmood Ahmadinejad, in the presence of a number of high ranking clerics and members of the Islamic republic officials. To this date the artificial lake at Bolaghi Valley has submerged an Achaemenid village, a large section of the Achaemenid Pardis (Garden), hunting ground, 7,000-years-old industrial settlement, as well as a large number of small pre-historic sites. According to the visitors a large number of trees at Bolaghi Valley, some hundreds and few even thought to have been well-over a thousand year old have also been uprooted and burnt for no reason. Continue reading the article at the CIAS Site.